Thomas C. Crawford is a 2014 graduate of the PhD Program in Leadership and Change at Antioch University. 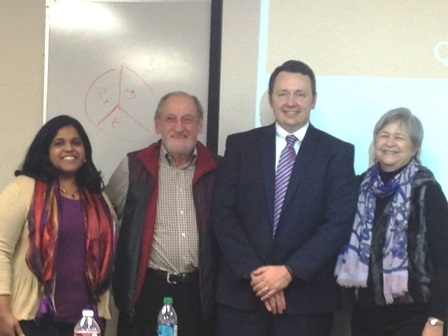 Dr Crawford with his Dissertation Committee Members at his Dissertation Defense, Antioch University, January 2014. [Left to Right] Dr. Laura Morgan Roberts, Committee Member, Dr. Alan Guskin, Committee Member, Dr. Thomas C. Crawford, Dr. Carolyn Kenny, Committee Chair. Not Shown [ Dr. Christine Philips, External Reader]. 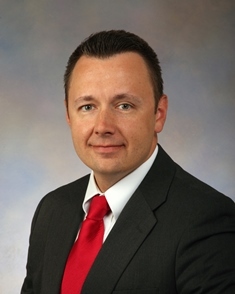 Thomas C. Crawford, PhD, MBA, FACHE is a seasoned rural healthcare executive (President/CEO/COO) that has consistently delivered collaborative accomplishments within physician networks, hospitals, medical centers, and within an alliance framework. Exceptional proven success developing system-wide strategic initiatives that contributed to enhanced market positioning, bottom-line profitability/growth, advanced clinical and financial performance, enhanced the quality and safety of the care delivered, and improved clinician and employee morale. A passionate continuous quality improvement (CQI) leader who recognizes that an institution’s most valuable accomplishment is having the right people in the right positions; consequently, accomplishes all operational goals and strategic objectives in a team environment through the leveraging of an organization’s collective intellectual capital. Crawford, Thomas C. PhD, "Navigating the Health Care Labyrinth: Portraits of the Socioeconomically Disadvantaged" (2014). Dissertations & Theses. 74.